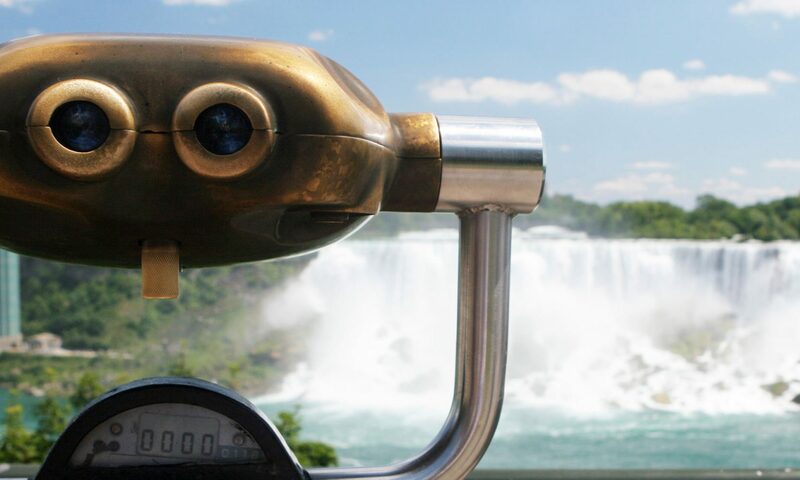 In the Fall of 1958, construction began on an 86 metre tall, steel and glass, observation tower at Prospect Point, to overlook the American Falls. The tower was designed as an observation deck and was accessible from the mainland. Also the tower was planned to have an elevator shaft to the base of the Niagara Gorge and the Maid of the Mist Boat docks. Construction was carried out by the White Plains Iron Works Company at a cost of $1,250,000. The base of the tower was just above the river and was a hexagon shape measuring 10.4 m high and 18.3 m wide. The tower is formed in the shape of a Maltese Cross and is 50.3 metres tall. The tower contains two elevators with five utility levels rising another 25.6 m tall above the main observation deck. The Prospect Point Observation Tower was officially opened in February 1961 and has remained in service since.